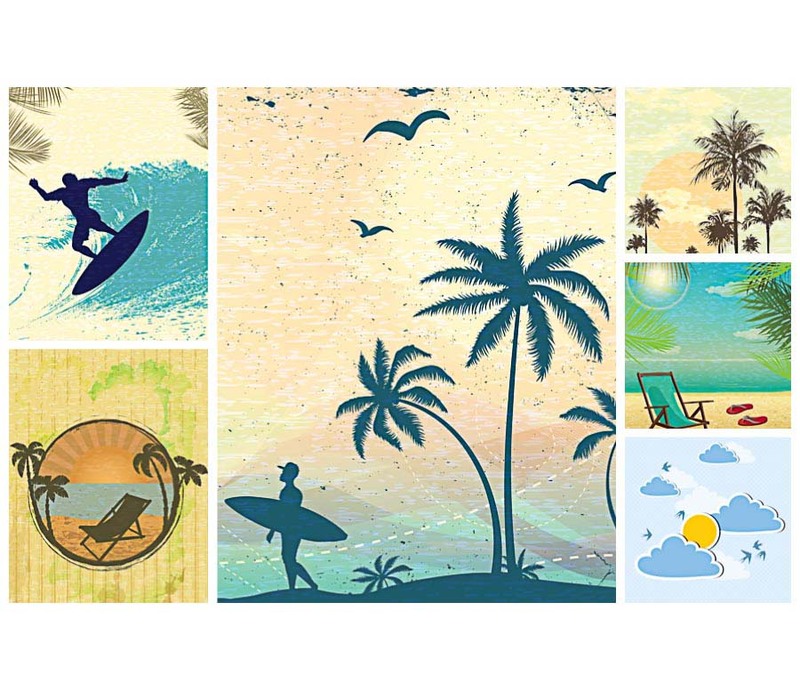 Set of vectors with retro summer illustrations with elements: palms, surfs, waves, sea, sun etc. for your personal designs. File format: .eps for CorelDraw, Illustrator. Tags: background, beach, retro vector, sea, summer vector, sun, surfing.